Veggie U Food and Wine Celebration, with Sweets by Maggie! My girl Maggie came down to Florida a few weeks ago for a visit and over a few glasses of our beloved sangria, she told me about her upcoming event at The Chef’s Garden. Wow!!! I was excited to hear that she would be participating in The Veggie U Food and Wine Celebration, an event I have been hearing about for many years. The event is put together to combat childhood obesity, with chefs, wine vendors, and food & beverage companies all participating to make the magic happen. 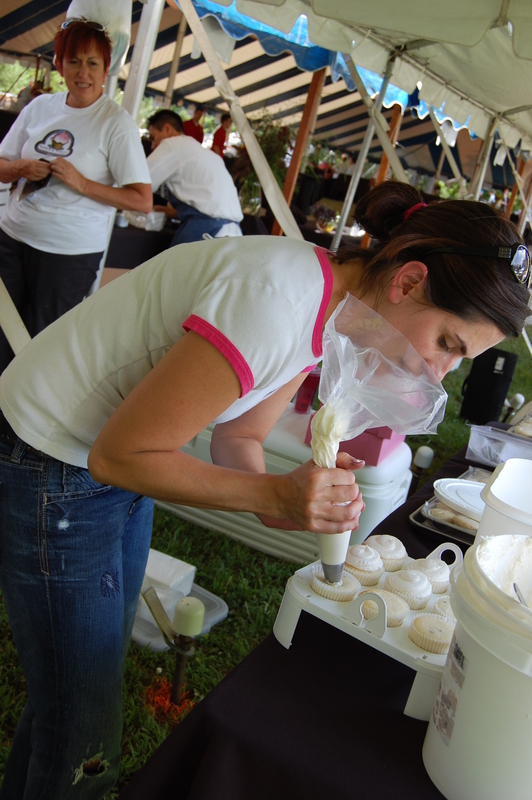 There are wine seminars, chef demos, book signings and of course, lots of tasting!! 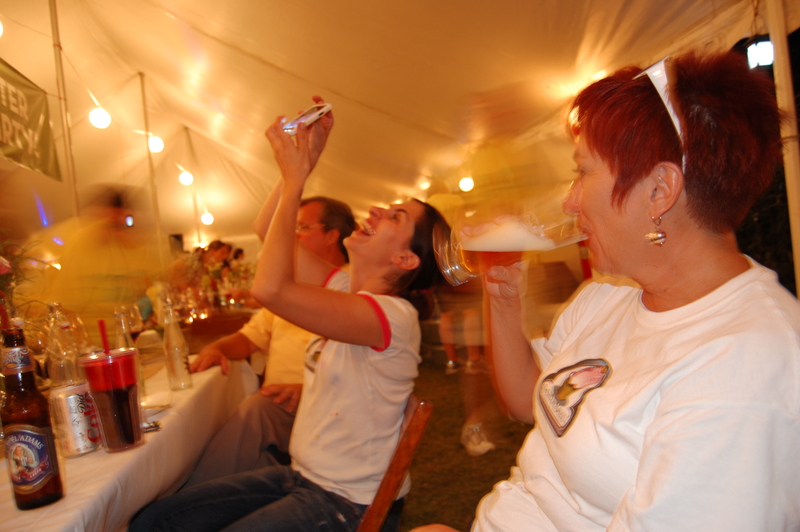 By the end of the pitcher of sangria, she had me convinced, I must travel to Ohio and help the Sweets by Maggie team! The event kicked off with a welcome reception for all the participants and their teams! The scenery was lovely; the wine was flowing and the buffet was plentiful. 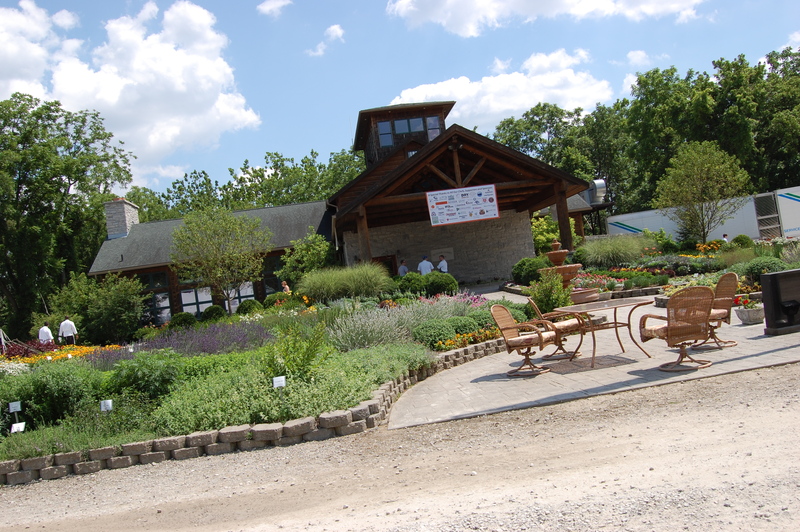 The host of the event, the staff of Veggie U, The Chef’s Garden and the Culinary Vegetable Institute welcomed us graciously. It was a perfect summer evening to meet many new friends and reconnect with old ones! 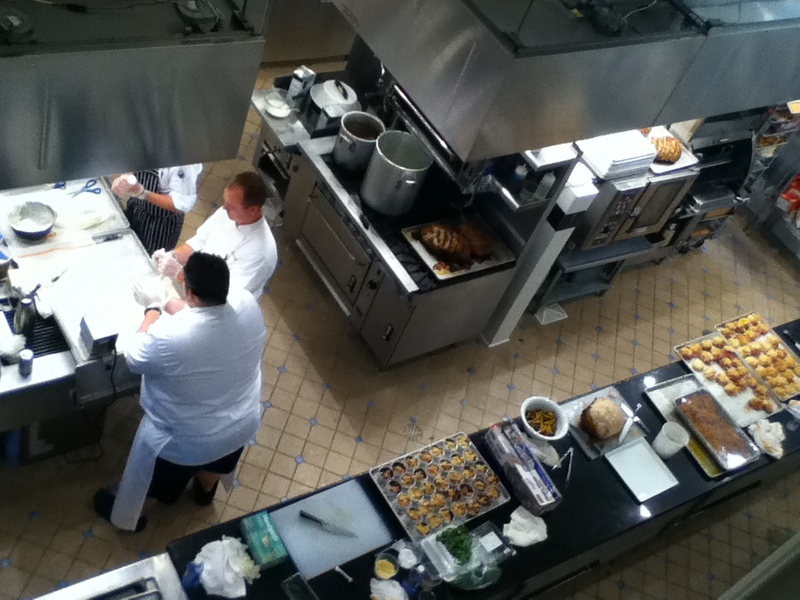 Birds eye view of the dining room at the CVI. 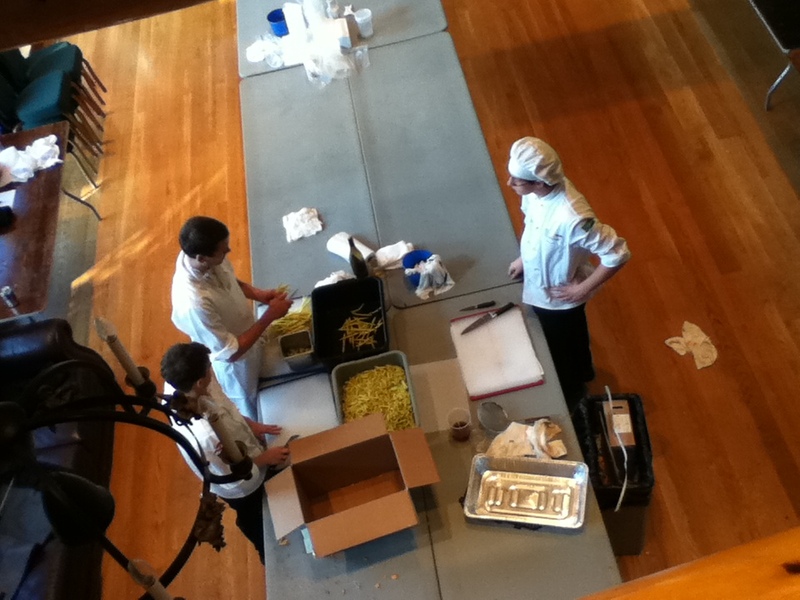 The chefs were finishing up their prep for the evening before joining the welcome reception. Chef's finish your mise en place!! 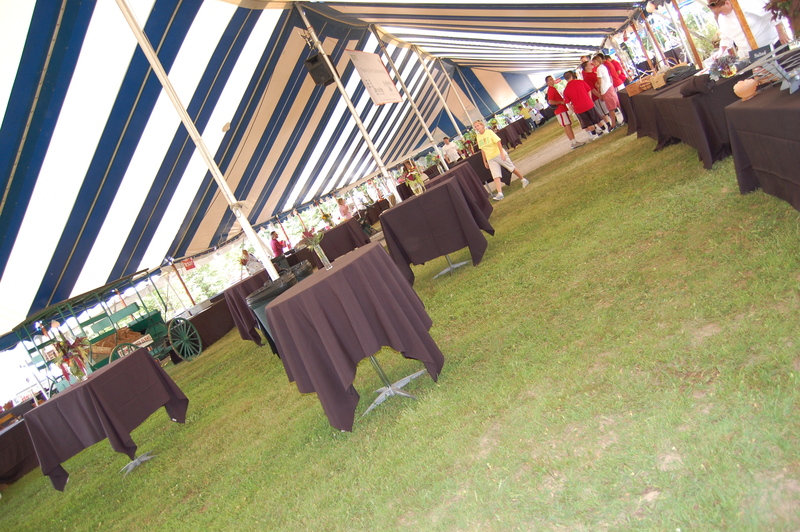 The Grand Tasting Tent- this is where the action would take place! 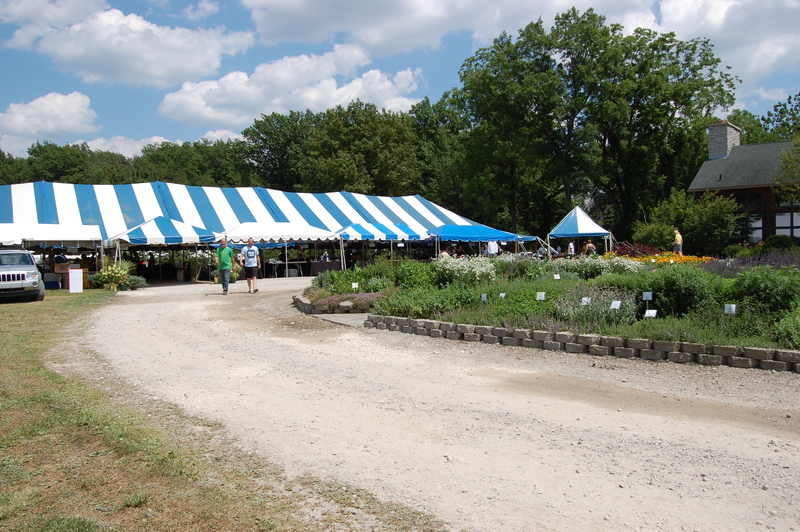 Vendors, chefs, sponsors will thrill guests with their bounty from The Chef's Garden! 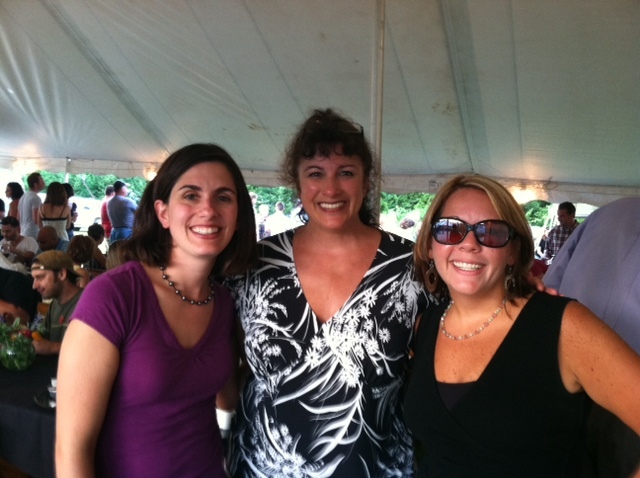 Our favorite sales person, Michele! We were home from the welcoming party by 12:30 AM, grabbed a quick nap before heading to Maggie’s shop at 3:00 AM. (My friends at work thought I was taking a vacation, hahaha). 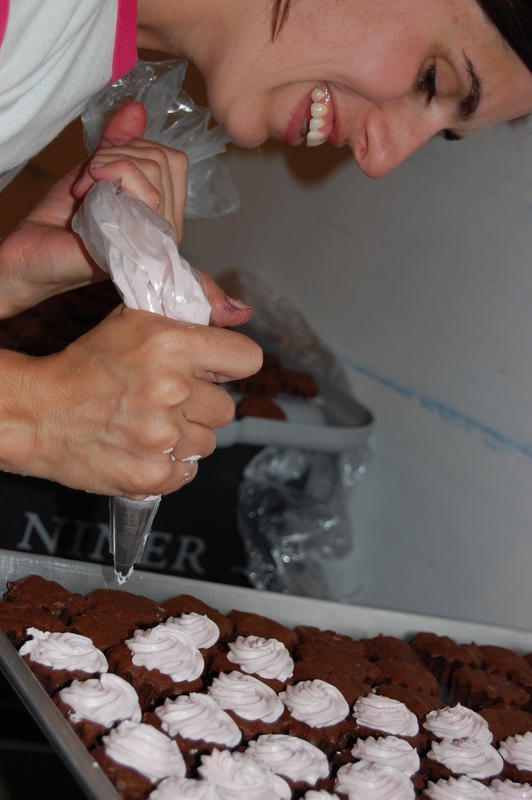 We made up batters, beat buttercream, baked cupcakes, packed all the equipment and shoved it in the car by 1:00 pm. And we were off to the races! The Subaru was loaded! But it all fit! And that is the lovely Cheryl, who rocked all weekend long with us! Attention Wrigley, you have a new Life Saver flavor! 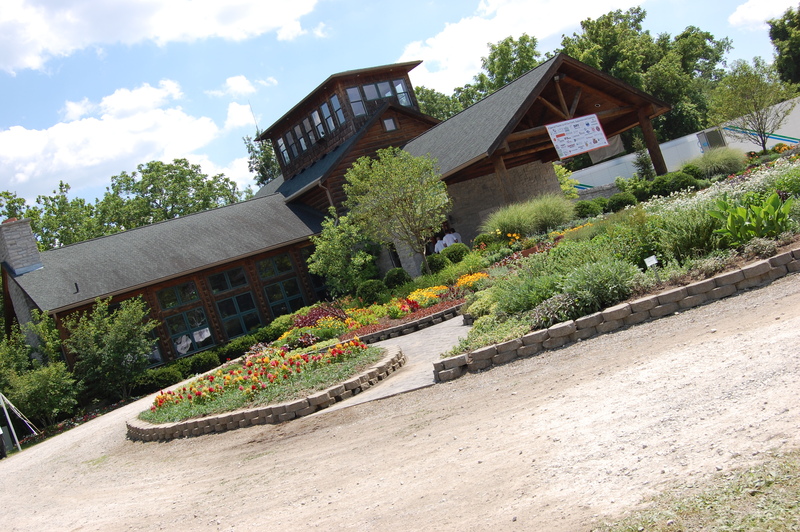 The Culinary Vegetable Institute, I ran by those chairs all evening long....tempting! 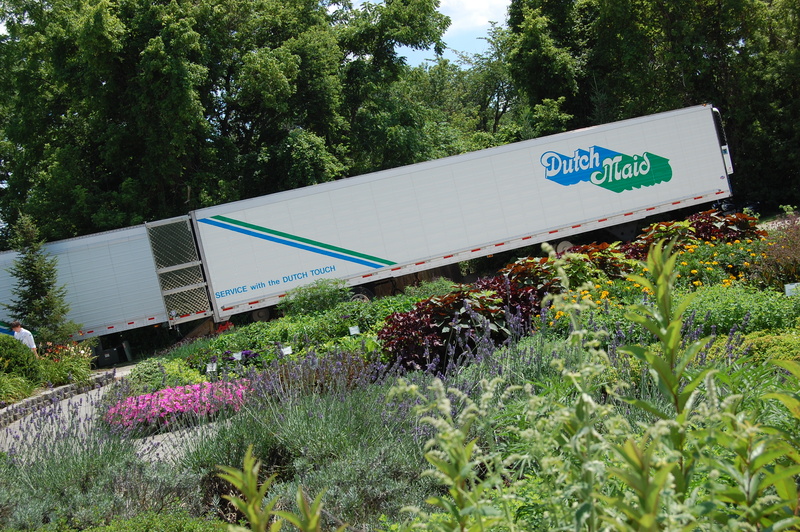 The Reefer Truck- It was refreshing to run and get supplies from the truck, despite the distance, as it gave me break from the heat! 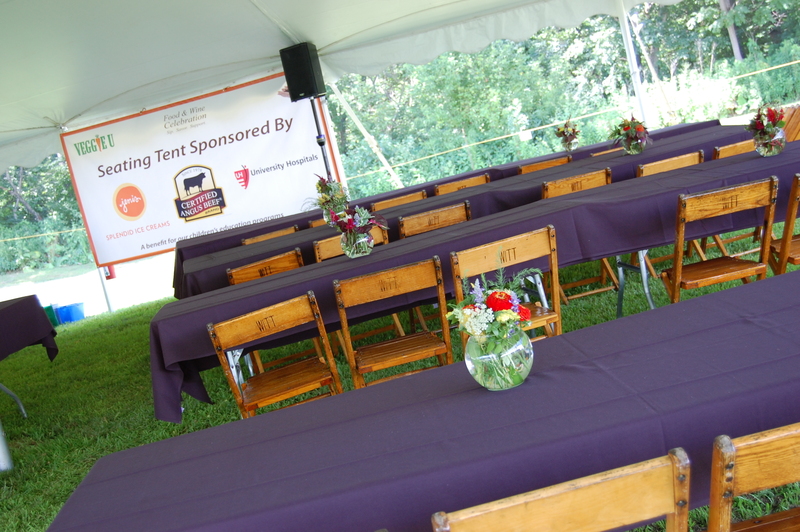 Wine Seminar Tent - This was great because we were very close to it, while I was busy being a Cake Ball Ninja, I listened closely to the Master Sommelier Serafin Alvarado! 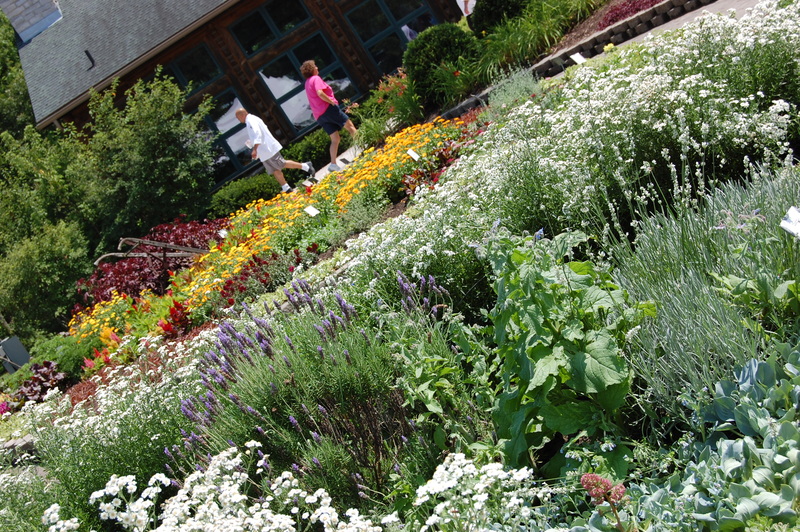 The gardens around the property were gorgeous! I love that you can see people hustling in back before we get started! Such a beautiful setting to work in! The tent before the action started. 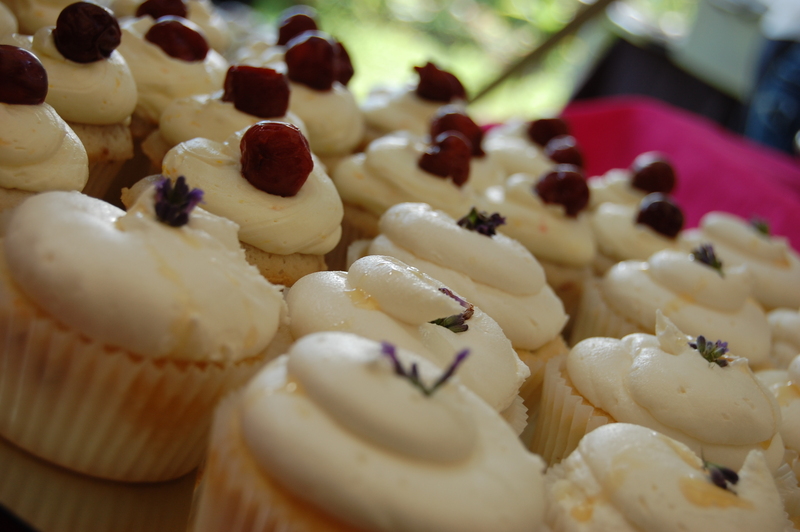 Tart Cherry Cupcake with Grand Marnier Buttercream; and Lemon Lavender Cupcake with Local Honey Buttercream! They were fabulous! 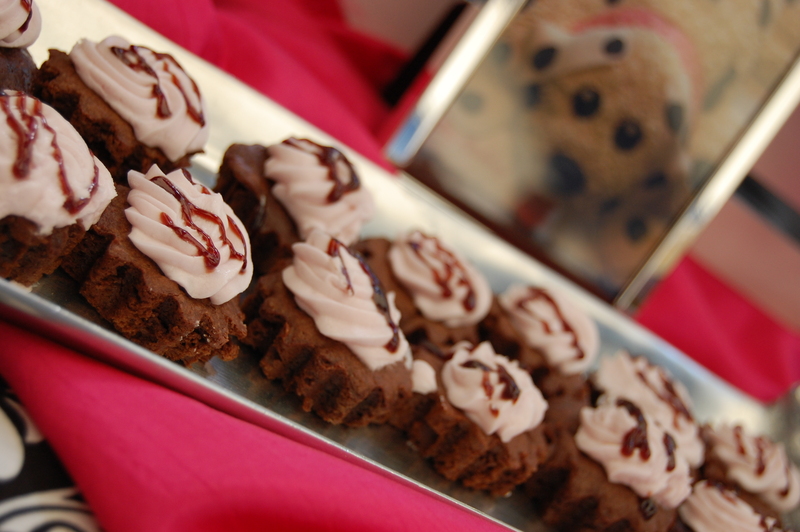 Port Wine Brownies. I gotta say, the reduction was beautiful -hollllaaaaa! 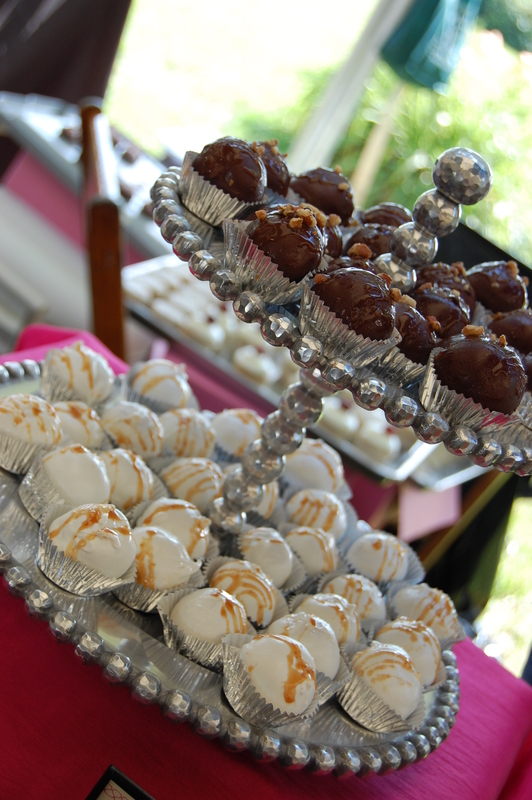 Sea Turtle Cake Balls, caramel, pecans, chocolate, sea salt, a few other things and of course, love! 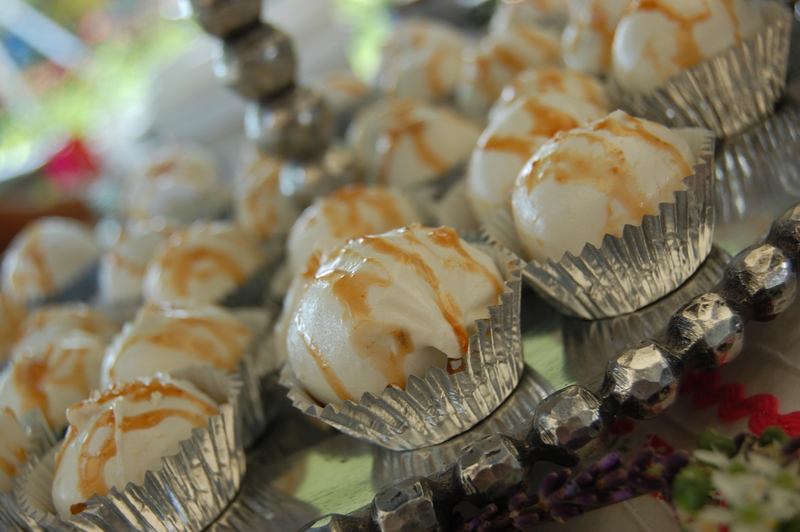 Just make sure you don't call them Sea Turtle Balls- I got a few looks when I quickly spieled the desserts. 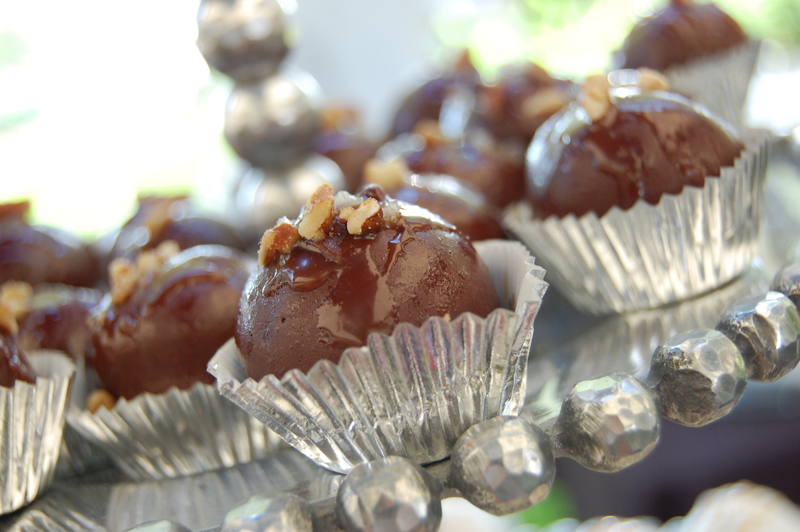 Salted Caramel Cake Balls! These are soooo good, unfortunately I didn't have any to bring home to my friends in Florida! Hoping Sweets by Maggie starts shipping soon! 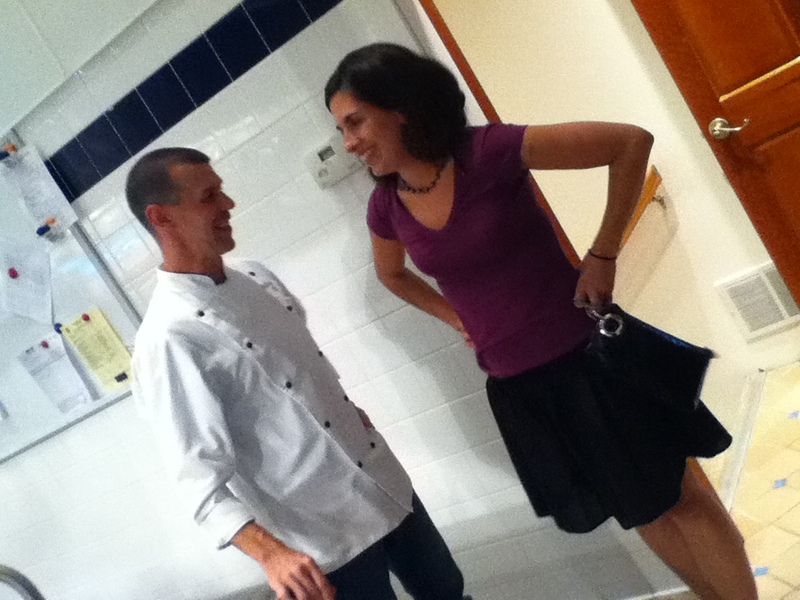 I did manage to slip away before the event got going, taking a tour of all the chefs and what they were serving. 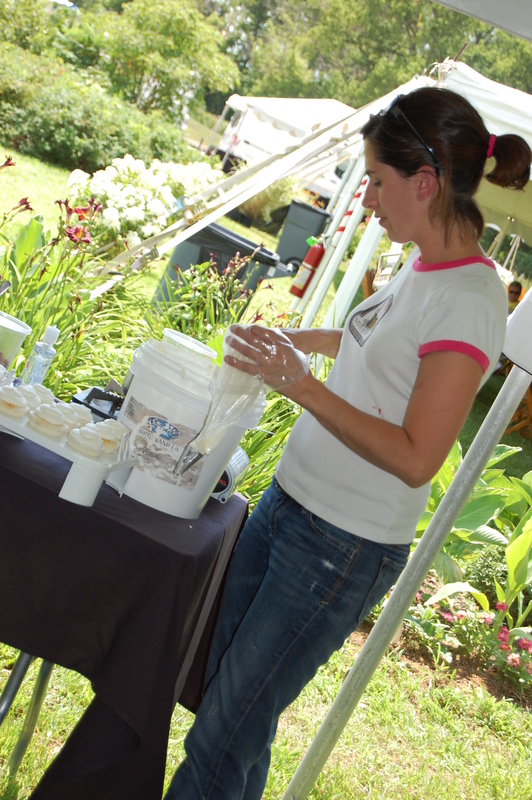 The caliber of creativity and culinary responsibility (local, sustainable, fresh, ect…) was extreme! So many dishes I could not wait to try! 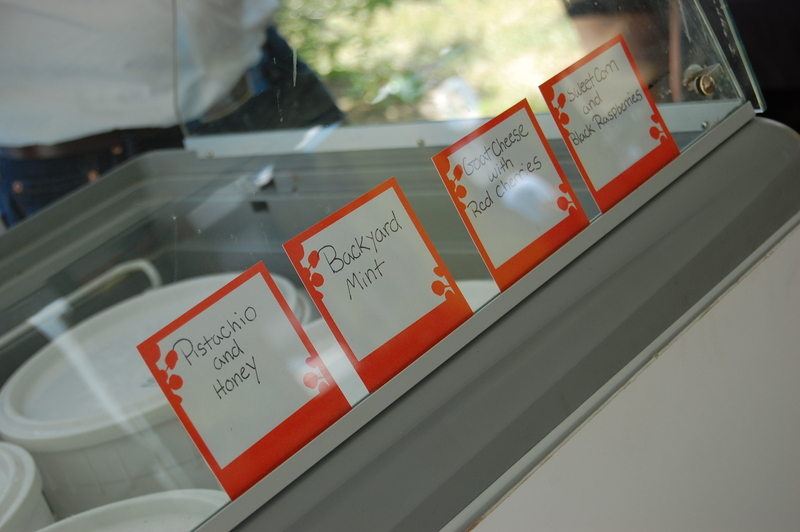 Flavors from Jeni's treasure chest! 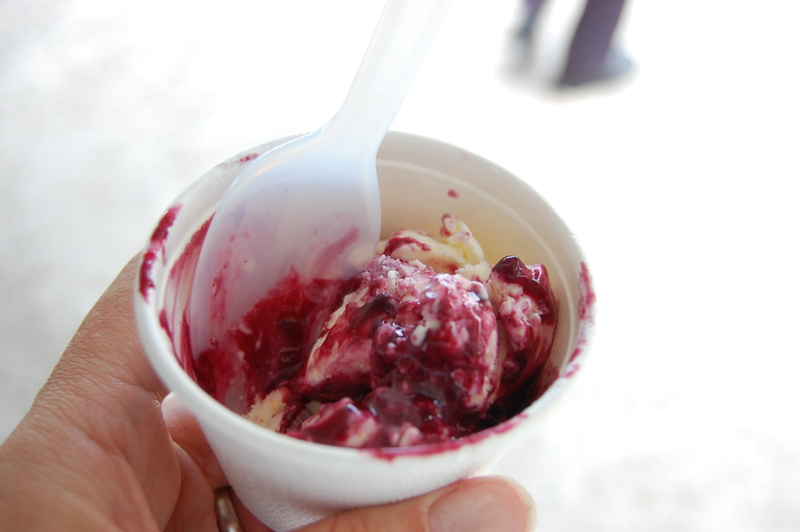 Jeni's Sweet Corn and Black Raspberries Ice Cream. 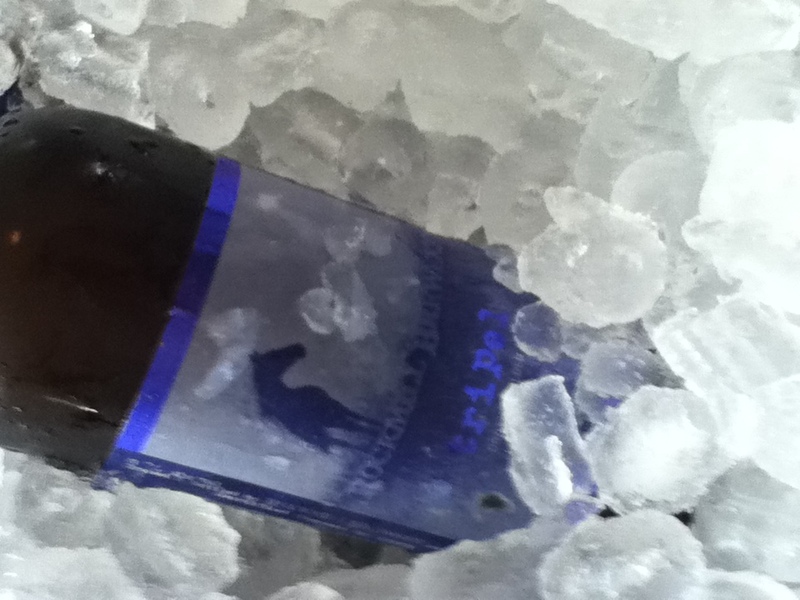 This will be in my freezer by the weekend. It was A-maZing! Rockmill Brewery- I can't say enough about this brewer, every brew I tasted was...sooooo good. Our new and old friends! 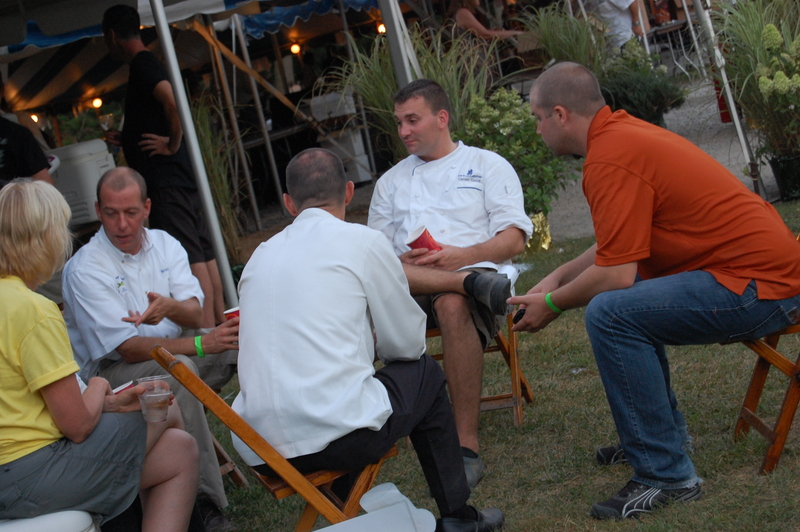 Brian from Gary's Seafood, Chef Brian and Chef Garrett. We knew there was a great chef next to us, but was delighted when Garrett shared his beverages with us too! Whoop, Whoop!!! 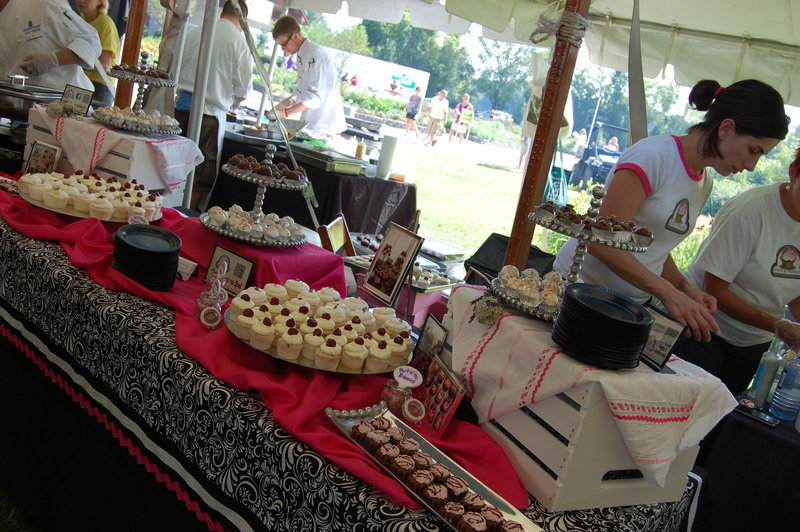 The event was amazing, the Sweets by Maggie table had guests raving….A complete SUCCESS!!! And like after any huge event, it is time to join in the party! The After Party! Good times were had by all!! 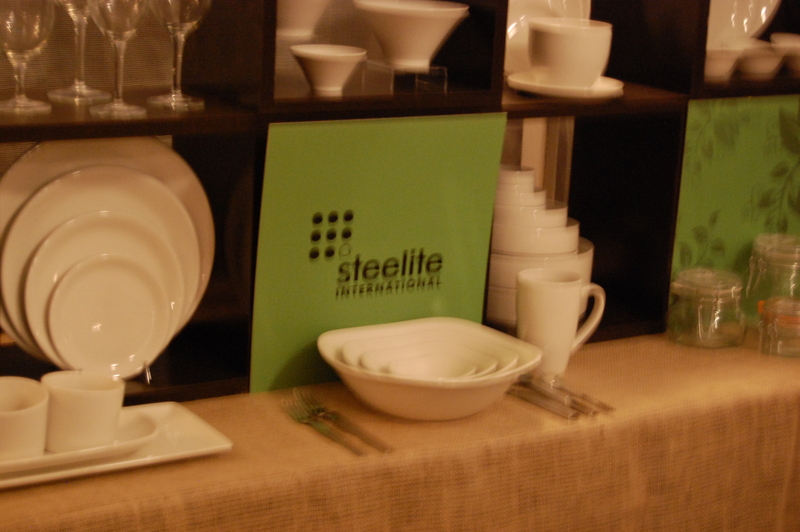 Steelite International was a sponsor of the Chef competition. The award was a trip to Alinea!! #Awesome! Congrats @Jonathon Sawyer!!! 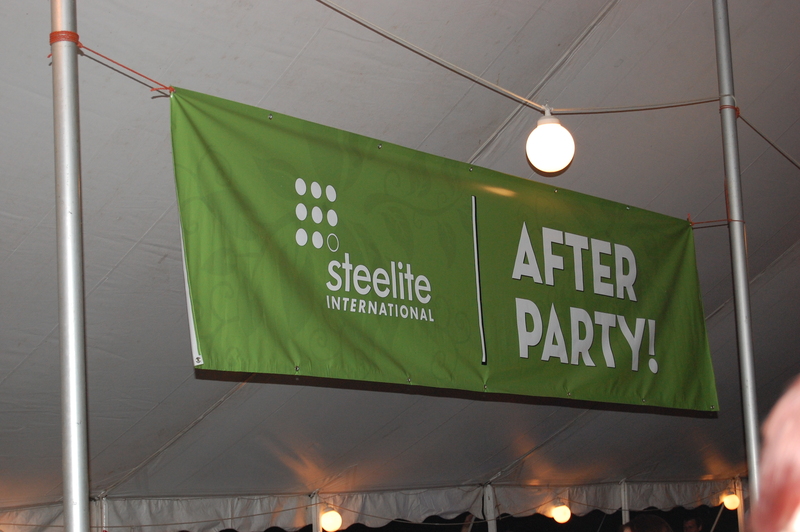 The After Party! 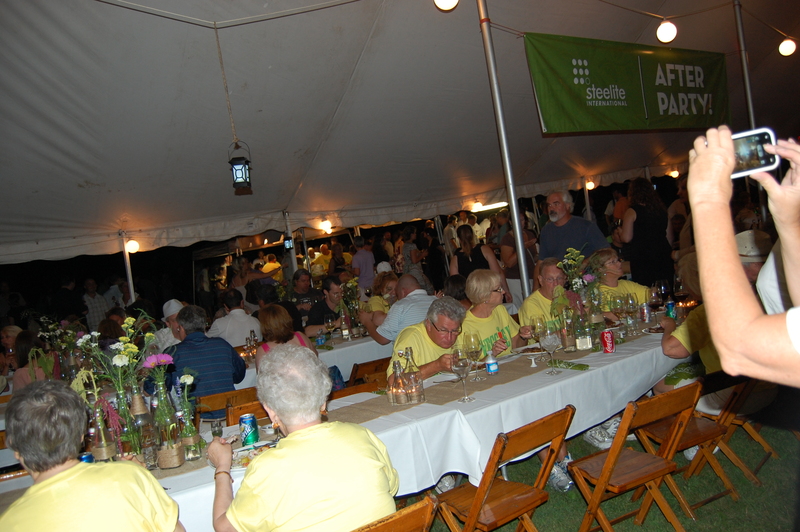 The winning chefs were announced, the volunteers, chefs, participants gathered as a team, broke bread, drank wine and relaxed! By the end of the evening, with the bustle winding down, I was able to look around and soak in the atmosphere, the friendly faces, all the talent and passion in one beautiful field. 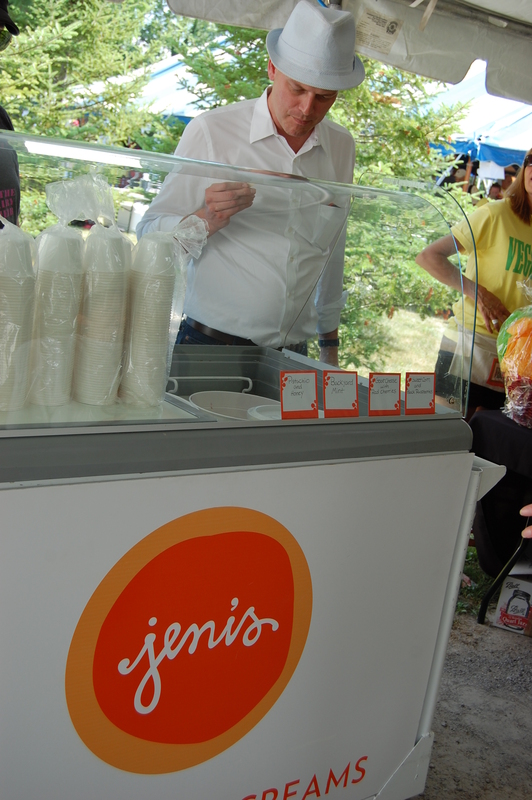 Knowing that all the effort that went into the event was going to fight the rising epidemic of childhood obesity was “icing” on top! To learn more about Sweets by Maggie, take a look at the http://www.sweetsbymaggie.com website or “Like” them on the Sweets By Maggie Facebook Page. This entry was posted in Catering, Outside the Kitchen, Uncategorized and tagged Amelia Island, Cake Balls, California Grill, Childhood Obesity, Cupcakes, Disney, Farmer Lee, Gary's Seafood, Lavender, Lemon Lavender, Ritz Carlton, Salted Caramel, Sweets by maggie, Sweetsbymaggie.com, The Chef's Garden, Turtles, Veggie U. Bookmark the permalink. Great photos of a great event. Still can’t believe Chef Brian didn’t win with that Spicey Tuna dish. Alinea was so close. Agree! Thanks Cheryl for all the fun! I’m so glad Maggie has u in her life! I’m a total jellybean right now. Pics are awesome! 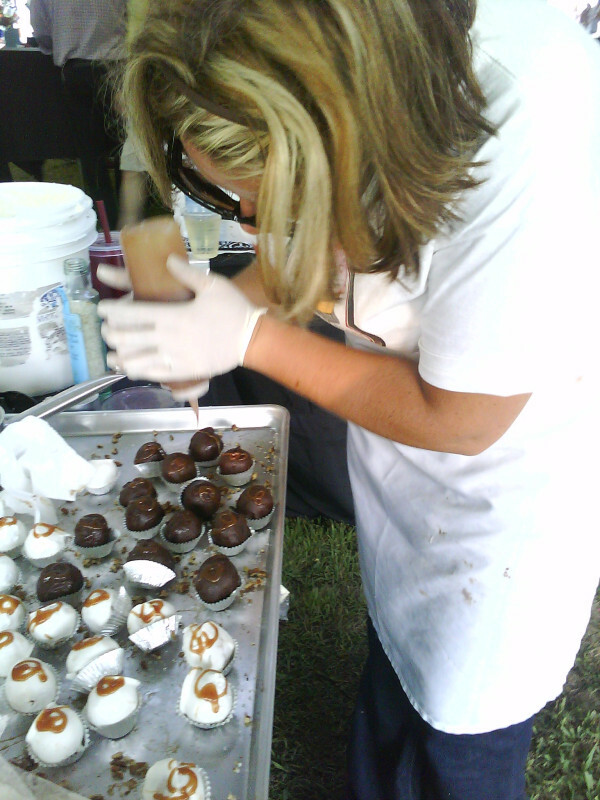 Maggie, please start shipping these cake balls! Thanks Ashley! If she ships I will let you know!